Add remaining ingredients and continue blending until you get a smooth consistency. 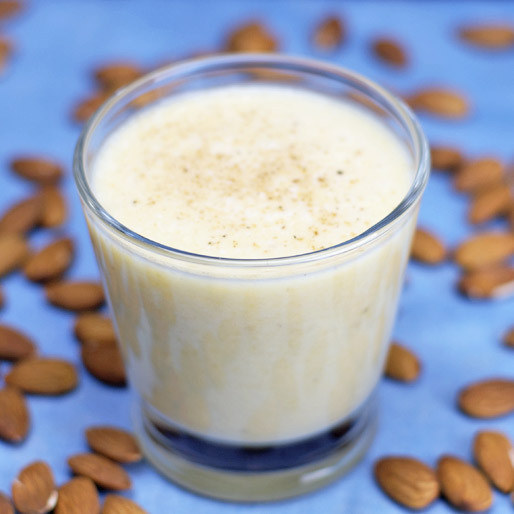 Top each serving with an extra dash of nutmeg. 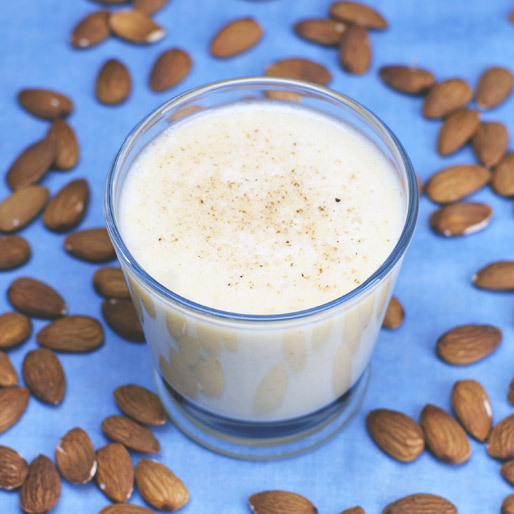 You'll be surprised how great the crushed almonds taste in a smoothie. At least, I sure was. Keeps me full longer too. Mr Breakfast would like to thank mikehilton for this recipe. Recipe number 1794. Submitted 7/22/2006.